RANK-AND-FILE gardaí have said body camera footage would have provided beneficial evidence for the Jobstown trial. Solidarity TD Paul Murphy and five other men were last week found not guilty of falsely imprisoning Labour TD Joan Burton and her adviser Karen O’Connell at a 2014 protest. There have been questions since the verdict about how the protest was policed, and about comments made by the judge in the trial, Melanie Greally, who said that on a number of instances, garda witnesses had provided testimony “describing events that were not borne out by the footage”. This morning, Garda Representative Association spokesperson John O’Keeffe told RTÉ’s Today with Séan O’Rourke that it suits the agendas of certain individuals to cast gardaí as “the State’s bully boys”. O’Keeffe said gardaí are “non-political” and their job is to bring the best evidence to the DPP, who decides whether or not to pursue it. “The idea that somehow in this particular case gardaí might have been hell-bent on prosecuting certain individuals, I think, is nonsense,” he said. He said rank-and-file officers were there on the day “to make sure that protest was as peaceful as it possibly could be”. All I can say is, gardaí do their best to protect the general public subject to the supervision they are given and the operational training they are given. When asked about witness accounts conflicting with what was seen in footage of the protest, O’Keeffe said “everyone in the country appears to be an expert on helicopter evidence”. However, he added that operations such as this one would have “benefitted hugely” if gardaí who attended were wearing body cameras as they give “the best evidence available”. “We would have firsthand video evidence of what happened on the day and let justice be done,” he said. O’Keeffe also said it would be helpful if the DPP explained why decisions were made to either prosecute or not prosecute in certain cases, in the interest of transparency. Email “Gardaí say Jobstown trial would have 'benefitted hugely' from body cam footage ”. 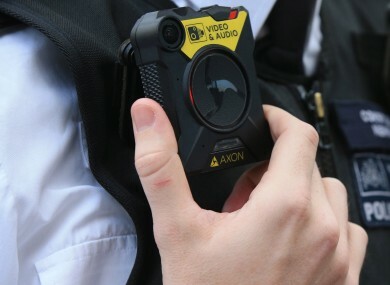 Feedback on “Gardaí say Jobstown trial would have 'benefitted hugely' from body cam footage ”.